Home → Blog → Plan your Wine Holiday for this year. Plan your Wine Holiday for this year. If you are one of those lucky people who has just returned, or is about to embark, on a trip to the southern hemisphere, I am very jealous. One advantage of the recent diaspora is that many Irish people now have friends or children living in Australia, New Zealand or South Africa. At this time of year, they are enjoying very different weather to our own. In wine country, the harvest won’t start for a month or two, but the sun will be out, and wineries will be welcoming visitors through their cellar doors. Wine regions tend to be situated in sunny places. Many are picturesque, and some breathtakingly beautiful. They make great places for leisurely tours by car, bike, foot or even boat. Wine tourism has boomed over the past decade. The danger now is one of overexposure; some regions close to large cities, such as the Hunter Valley in Australia or the Napa Valley in California, are overrun by wine tourists at certain times of the year, and have lost any small-town rural charm. In the Napa Valley it is big business, with visitors being charged considerable sums for a tasting or tour of the winery. With shopping, restaurants and various other attractions, it can feel more of a retail experience than a visit to somewhere that produces wine. If you are planning your spring or summer break, Europe is the most likely destination. It took some parts of Europe a while to realise the potential value of wine tourism. Most producers are now aware of its importance.As well as cellar-door sales, visitors can buy by mail-order or online and in shops back home. Italy has its successful agritourismo business. Spain and Portugal have been particularly active, but France is the nearest country and full of interesting regions to visit. Here, too, some regions, such as Alsace, can become very busy in high season, but if you plan ahead (dodging German bank holidays) you can avoid large crowds. Burgundy and Champagne were both recently awarded Unesco heritage site status, something they believe will further stimulate tourism. Champagne, close to Paris and with plenty of vast cellars to visit, is growing in popularity. Burgundy is one of the prettiest wine regions, much of it still undiscovered. The picturesque town of Beaune is well-known, but cycling holidays in the region have become popular.The city of Bordeaux is wonderful to visit, and many of the well-known Châteaux have opened their doors to the public. Other lesser-known regions offer a routes des vin of some sort, with guides covering the network of local wine producers, accommodation and restaurants. In Spain, Jerez is a relaxed town with great bars, and Rioja has some architecturally impressive wineries and hotels. Portugal has the stunning Douro Valley (another Unesco heritage site), and the Alentejo.Germany offers boat trips down the Rhine or the pretty Weinstrasse. Vienna is becoming a popular destination and is surrounded by heurigen, hillside wineries that offer increasingly sophisticated food. But for those seeking a little solitude, a trip to lesser known wine regions is a chance to discover new wines, visit new producers and enjoy unspoilt countryside. With small domaines it is advisable to call ahead or make an appointment by email. A local guidebook will usually advise on this. Naturally you will need a designated driver each day. You can enjoy a different kind of wine tourism closer to home; many hotels in Ireland run wine weekends or midweek breaks. I enjoyed a memorable tasting and dinner at Kelly’s Resort Hotel recently.Last year, I had an excellent wine dinner with South African producer Bouchard Finlayson in Ashford Castle and visited their beautifully restored wine cellars. Of course, if you dine in situ, you won’t have to worry about who drives. From a wine region favoured by Melburnians, a light pinot with juicy red cherry fruits. Stockists: Corkscrew; Deveney’s, Rathmines; Gerry’s, Skerries; Martins; La Touche, Greystones. 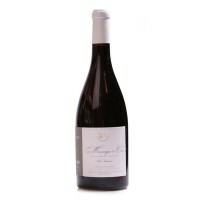 Elegant and concentrated with delicious dark cherry fruits. Stockists: Le Caveau; Green Man Wines; Redmonds; MacGuinness; 64wine; Fallon & Byrne; On The Grapevine; Avoca. Rich, smooth, sweet and dark cherry fruits with woodsmoke.